** This class is great for beginners, intermediate, and advanced students. There is a plethora of information for the new painter from studio setup to a variety of uses for a brush. For more advanced artists, this is an opportunity to see methods that are perhaps different from their own and see how good and bad habits might be changed or improved upon. 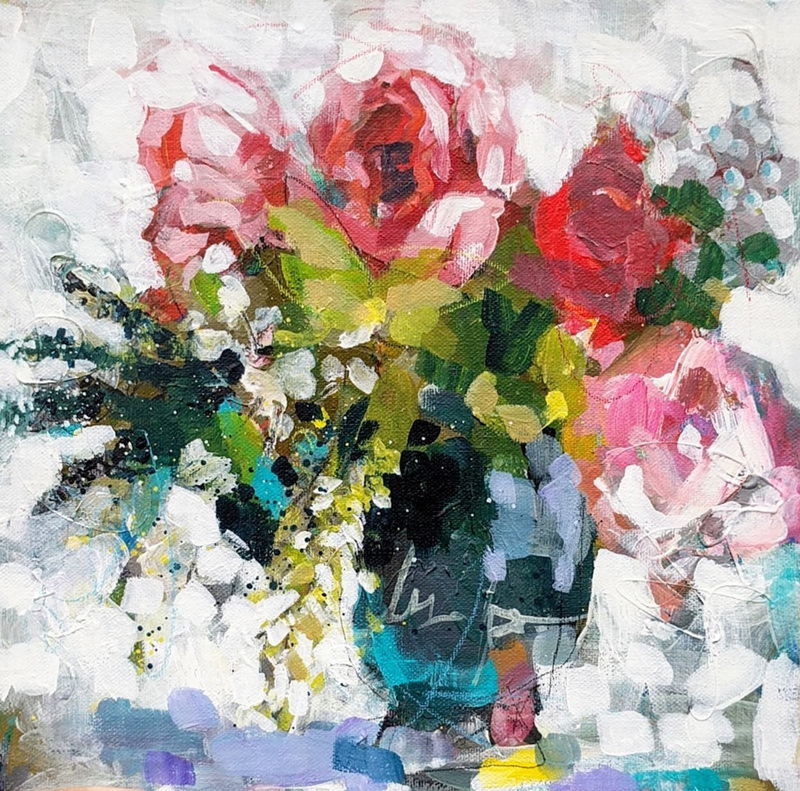 The overall process is loose and expressive and is perfect for helping new painters overcome challenges when painting representational work, and for the advanced student that may have problems painting loose or leaving information out for artistic beauty. 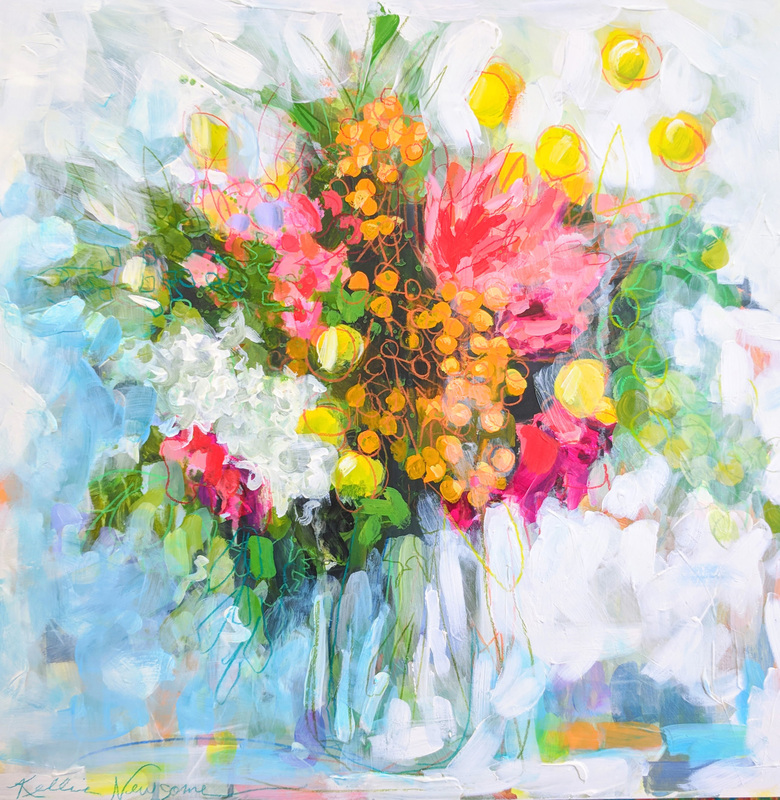 Kellie Newsome is a bright and colorful artist that teaches an entertaining and informative workshop on creating vivid and loose florals. 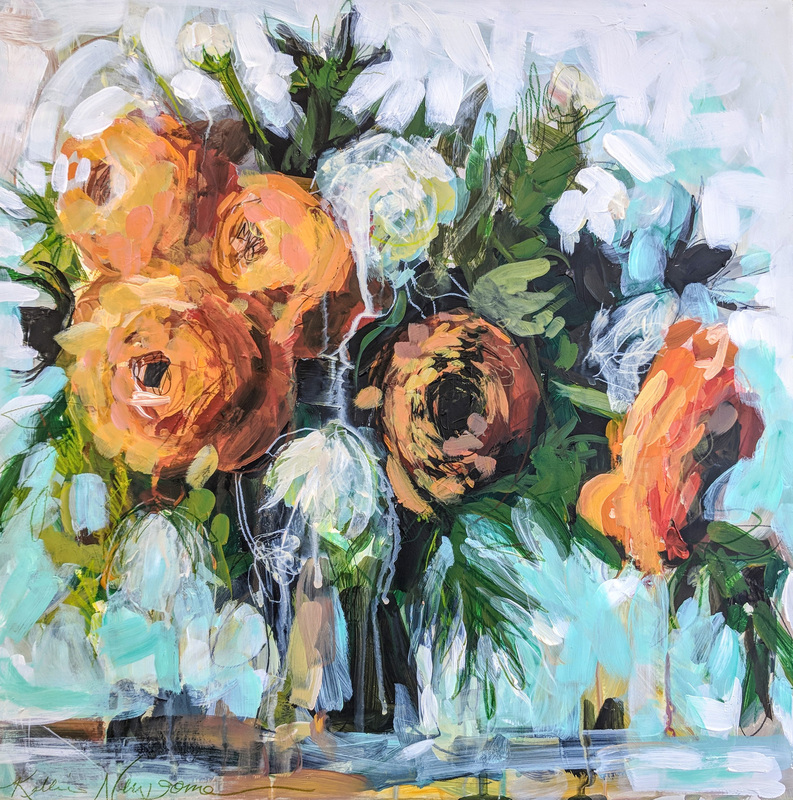 Her easy to understand instructions include using a limited color pallet, combining mark making tools with paint, how to prepare MDF boards for painting, and how to use a photo as a loose reference. Learn how to use the versatile and bright professional grade acrylic and learn how different pencils work at different stages of your painting. This style of creating provides great inspiration to add splashes of color and vibrant marks to any subject matter.